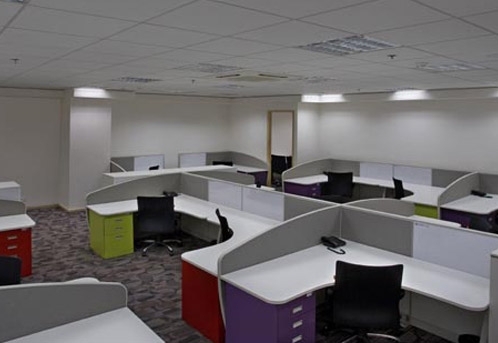 Would You Consider A Serviced Office For Your Business? With serviced offices becoming increasingly popular, they may be an attractive (and affordable) option for small and growing businesses. At some point, a small business will require more space and facilities, but they won’t always have the ready cash to invest in permanent premises. Here is a list of some of the most important points to bear in mind when considering what serviced offices can offer you. Conventional business leasing arrangements can be drawn from six months to a significant number of years. Serviced offices provide a much greater degree of flexibility in this respect, allowing businesses to adapt quickly and alter their arrangements within far more manageable timescales (month-to-month contracts). While a sense of permanence can be a good thing, most successful start-ups these days do not have the luxury of sticking to a rigidly defined business model and can benefit greatly from adapting to market changes quickly and easily. A key benefit of serviced offices is the provision of integrated IT solutions, which depending on the package you choose, provide differing levels of support. This can be a massive benefit to any small business whose workers may not have specific IT training or the time to resolve such issues. One of the only downsides to this arrangement is that you may end up sharing things like network services with other residents, but any potential issues are far outweighed by the potential benefits of having such a well-integrated service already set up and ready to use. As mentioned above, the flexibility of serviced offices is well suited to the demands of a constantly changing economic climate and this is also reflected in the pricing plans and setup costs offered by providers. Budgeting for things like buildings maintenance, cleaning, reception staff and so on can all be taken care of in one inclusive monthly payment – helping you to see clearly and easily where your money is going. Sharing costs with other tenants for things like stationery, utilities and telecoms will also have a beneficial impact on your overheads although this may not suit businesses who already have arrangements with their own suppliers. If you’re on the fence between working in coffee shops using their spotty WiFi, setting up an office at home or sharing office space with other freelancers and start-ups, find out more about what serviced offices can do for your business.